USPowerGen Chairman and CEO Mark Sudbey will speak to UH Bauer students about changes in the energy industry during the Oct. 20 Distinguished Leaders Series presented by Sequent. The University of Houston C. T. Bauer College of Business will host US Power Generating Company Chairman and CEO Mark R. Sudbey on Oct. 20 for its Distinguished Leaders Series (DLS), presented by Sequent Energy Management. The event, which will be held in Melcher Hall Room 170 at 6 p.m. following a private reception, is a UH Bauer mainstay that brings together students and energy leaders to discuss the changing face of the industry. “The Sequent Energy Management Distinguished Leaders Series brings engaging perspectives from energy industry innovators and leaders. These talks augment what is taught in the classroom with a real-world perspective from the people who are shaping this dynamic industry,” said Dean Arthur Warga. “We aim to train our students to deal with the new realities of a changing energy landscape, and speakers like Mark Sudbey provide insight into how they’ve seen the industry evolve,” he added. US Power Generating Company (“USPowerGen”) owns and operates fifty-eight generating units at six facilities with a total capacity of over 5,000 Megawatts (MW). USPowerGen subsidiaries sell their energy and capacity into the NYISO and ISO-New England deregulated markets. The combined company represents generation sufficient to serve approximately 20% of the overall load in New York City as well as approximately 50% of the overall load in the Boston metropolitan area. 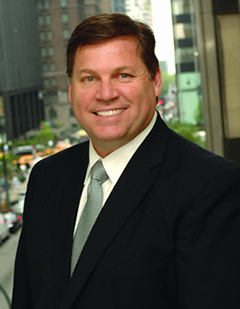 Sudbey has extensive experience in managing power sales companies, from his current role leading USPowerGen, which was established in 2003, to his previous positions with Reliant Energy, where he served as President – New York and South East Regions within the company’s Energy Wholesale Group. Sudbey also worked at Pacific Gas and Electric Company (PG&E), where he was responsible for setting up the generating trading function to incorporate power plant bidding and asset operations functions into their trading operations. For more information or to RSVP for the event, visit https://www.bauer.uh.edu/distinguishedleaders/.